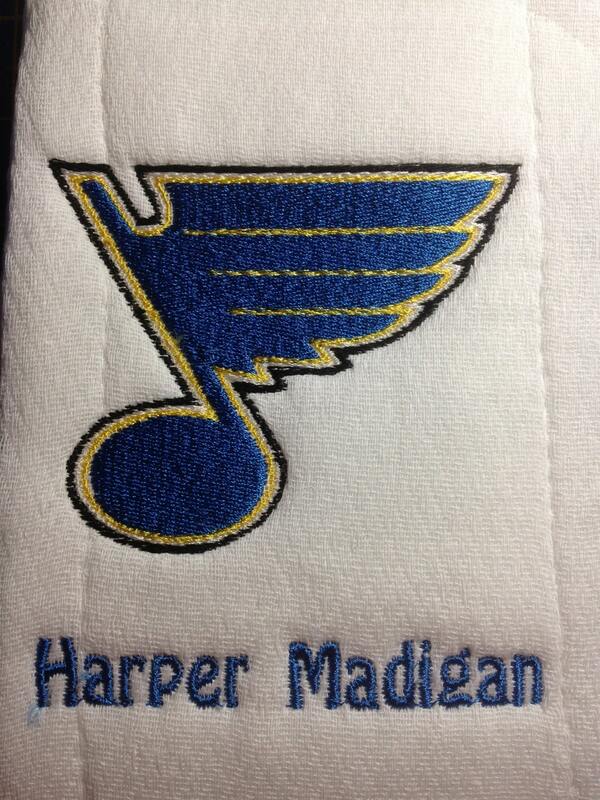 Custom personalized St Louis Blues burp cloth or white bib. 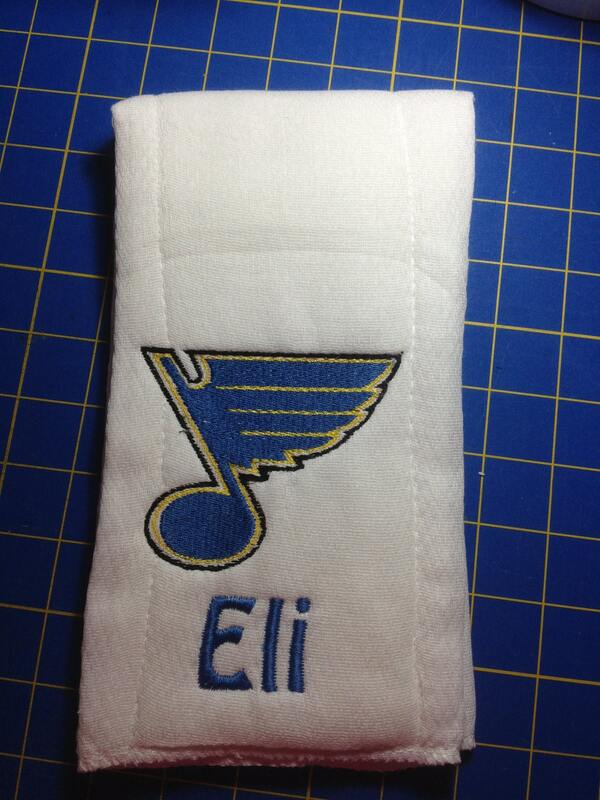 This burp cloth will make a hockey family with a new baby very happy. I will add a name at no extra charge. In note to LindaKaysCreations Please be sure to list the name with your order also list the color you would like for the name. 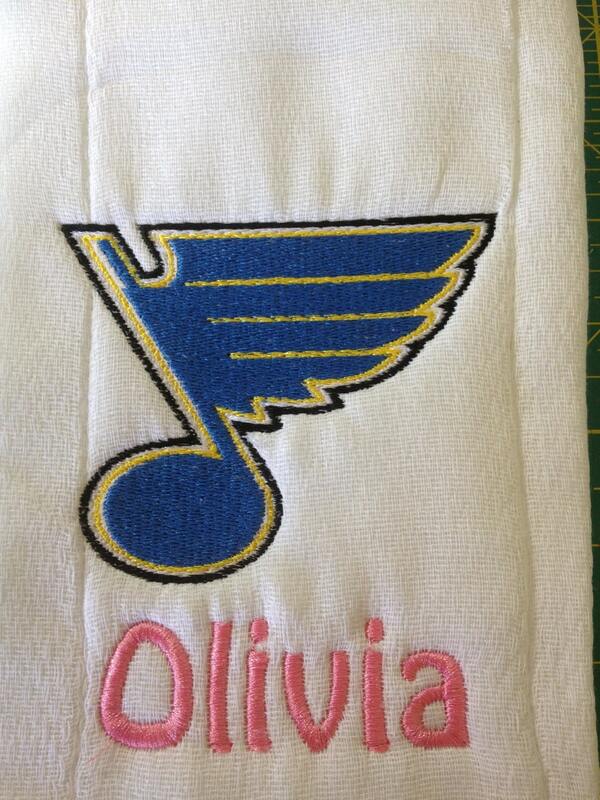 Darling baby gift for the ultimate blues fan! Great quality! Completely excited and speedy service, thanks. So beautiful! I am so happy with my purchase! Can't believe how quickly it was shipped to my house! Will shop again here! 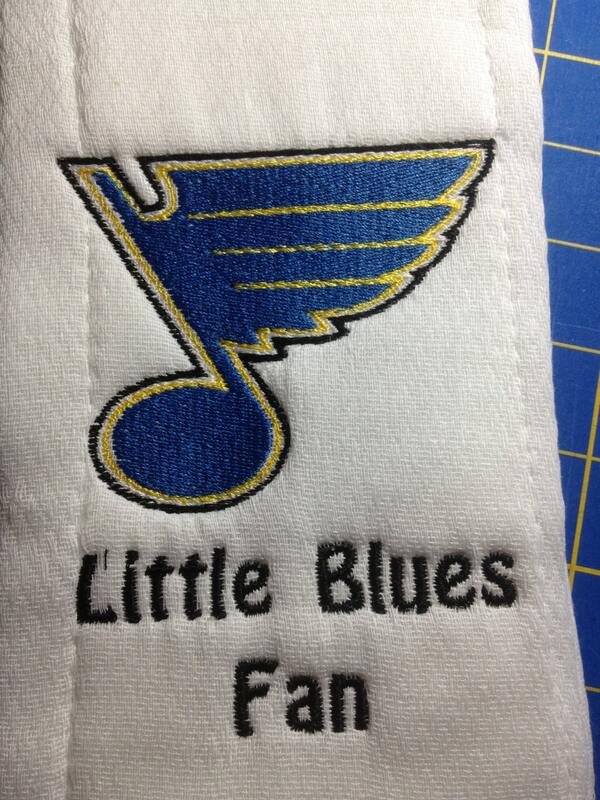 Received the Blues burp cloth - it is perfect. Thank you!